Bulls coach Jim Boylen appears to be challenging the NBA, and it was on display Sunday when the Bulls lost 117-100 to the Brooklyn Nets. Boylen believes in conventional wisdom, which long has agreed defense, physical play and interior force wins. It’s not that much disputed, actually, but can a team survive and thrive primarily that way in this modern NBA that has legislated in the excessing three-point field goal game? The Bulls are the petri dish. Talk about your special culture. 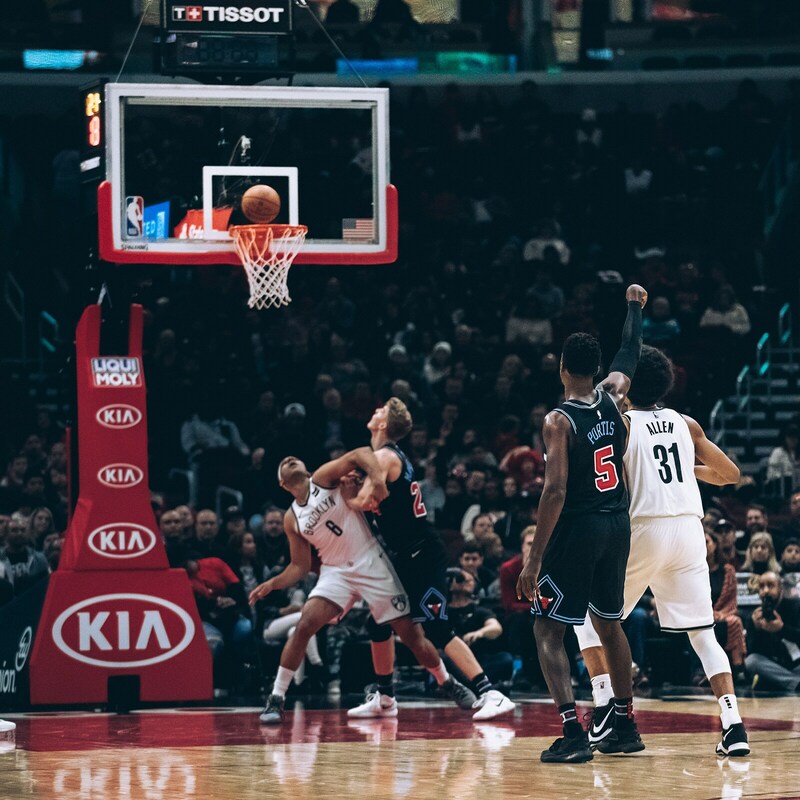 “There were multiple times where we had a rim two missed and the run out was a three by them,” Boylen pointed out about a Nets team that attempted 46 threes to 18 for the Bulls. “I thought we had multiple five-point swings that forced us to keep fighting uphill. You have to give them credit for that. I do like 62 in the paint. 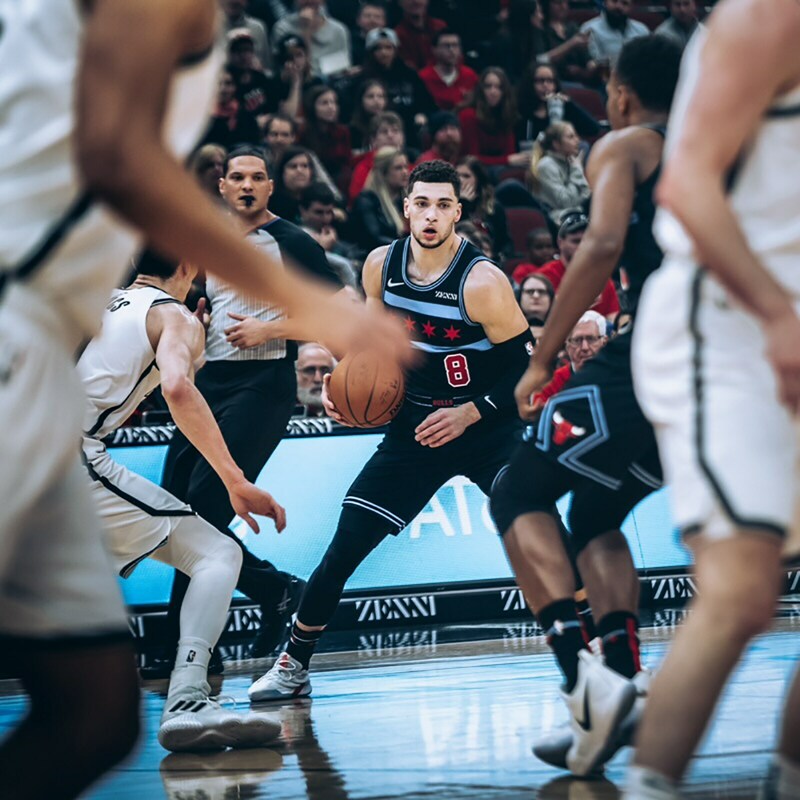 “I’m proud of Zach LaVine,” Boylen added. “He got 27 points on two (of two) threes. That to me is who he’s got to be, drive that ball and attack, attack. Hopefully we can get some free throws for him as we move forward. I want him to be a driver and aggressive downhill guy. I don’t want to be a midrange team, but we do have some midrange situations we get into. We lost the three-point line by nine makes and a lot of attempts. That’s what they do. To me, that’s not what we’re going to do right now. Boylen is correct that giving up 117 points to an average offensive team — which means 111 per game in today’s NBA — isn’t a formula for success. Still, Boylen is convinced that the culture he wants to establish with the Bulls of defense first (and always), penetration into the paint for scoring and then passing out if needed is the prescription for a patient who’s been ill, the Bulls’ record falling to 10-30 as the league’s lowest scoring team. The Nets are now 20-21 with a fifth consecutive win over the Bulls. Whether it’s a long term cure for what’s been ailing the Bulls or a case of malpractice will be played out in the coming weeks and months. Portis had 17 points in 20 minutes in his return from missing seven games with a sprained ankle, his second significant absence of the season. Sunday actually was the first game this season the Bulls had a healthy team with the exception of Denzel Valentine, who is out for the season. 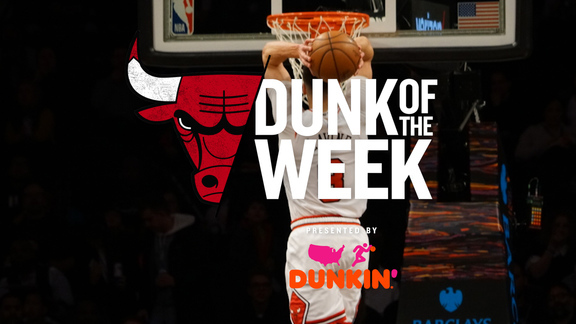 LaVine led the Bulls with those 27 points on 11 of 17 shooting. Kris Dunn had 16 points and seven assists. 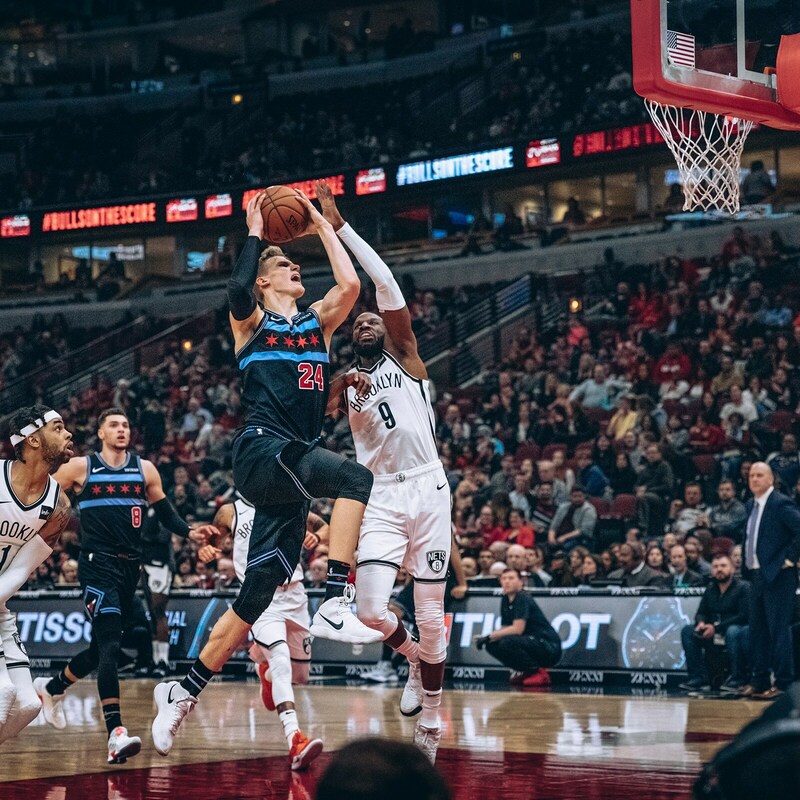 Lauri Markkanen had 14 points and just 11 shots after he and LaVine were exceptional as shot attempts and three-point shooting leaders in the narrow loss to Indiana Friday. The Bulls in that game were shooting more quickly, moving briskly. Sunday’s pace seemed more restful. The Bulls with less movement also reverted to being unable to take advantage of Markkanen in mismatches with smaller Nets defenders like Jared Dudley and too often had multiple players passing on open threes to drive. Of course, part of that equation is the pieces in a jigsaw puzzle that no one expects to be complete quite yet. Especially with the trade last week of their most prolific three-point shooter Justin Holiday, the Bulls often feature rotations will multiple shooters who are reluctant with threes. They include Dunn, Shaquille Harrison and Chandler Hutchison, all of whom often disdain threes to drive the ball. Plus, Robin Lopez is primarily an inside player. Ryan Arcidiacono is a good three-point shooter, but he seems to prefer to pass. Portis’ return enhances the team’s three-point shooting as he made three of four and his first attempt when he entered the game last in the first quarter. “Come in, find a rhythm, try to bring momentum to the gym, get the crowd involved, be myself, try to bring energy off the bench,” Portis said as expected. But it was once again a slow start for the Bulls, trailing 10-4 six minutes into the game and eventually 28-21 after one quarter. Though the Bulls tied the game at 55 at halftime with 16 second quarter points from LaVine. “There's certain points in a game when I know I can turn it on or get aggressive. But there's one ball out there; we've got a talented team. I know personally I'm able to get my shot off or get going,” said LaVine. “I just got aggressive (in the second quarter), started reading the pick and rolls a little bit differently. It put pressure on them, getting downhill. Perhaps the most interesting experiment is going to be Boylen’s vision vs Zach’s skill. LaVine is probably the team’s prime talent. Perhaps Markkanen will be one day, but his two months out with the elbow injury set him back. Plus, Markkanen isn’t finishing as regularly as he did toward the end of last season. LaVine remains the team’s leading scorer and easily the best at getting to the basket. Which fits Boylen’s vision of the team the Bulls should be, hard playing, inside first, paint touches, free throw line attempts and then kick the ball out. But LaVine is also probably barely behind Markkanen as the team’s top three-point shooter. So should the Bulls want one of their best three-point shooters to limit shooting threes, as Boylen suggested and LaVine has tried to follow? Boylen is being consistent in that feature of his philosophy. Jabari Parker was the only player not to get in the game Sunday as newly acquired Wayne Selden made a late debut. Boylen’s message has been accountability on defense: Don’t do it often or well enough and don’t play. And, after all, this season as executive John Paxson reiterated last week isn’t as much about results as a foundation, including a way to play. But is that the best use of probably the team’s best player? “We've just got to be tougher,“ LaVine said, borrowing a mandate from his new coach. “I think that's the main thing. We're going to miss defensive assignments. We're going to miss shots sometimes. But I think overall we've got to be a tougher team. We have individual, tough players. But as a team we've got to be a lot tougher. That's the main thing I see right now. 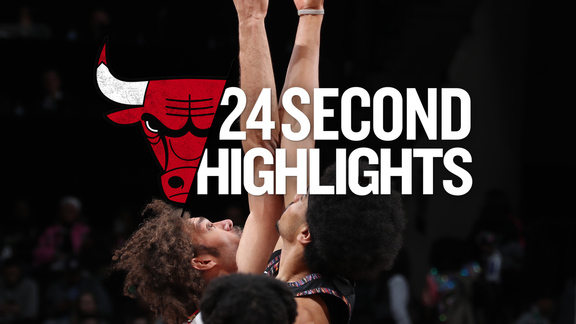 Brooklyn gained an early edge in the third quarter, resulting in a quick Bulls timeout. Brooklyn added on for a 79-67 lead after a pair of D’Angelo Russell threes, Russell leading the Nets with 28 points. DeMarre Carroll added 20 off the bench. LaVine again began making his way to the basket when he gave everyone a scare, appearing to suffer a groin injury. He immediately committed a foul to leave the game as the Bulls drew within 88-82 after three quarters. LaVine would come back in for a driving fast break score after a turnover. But by then it was too late with the Nets taking a 105-87 lead midway through the fourth quarter. The playing health of the Bulls, however, will continue to be examined.